A bill was introduced and passed in the Senate and National Assembly of France back in September 2010 banning the face veil. 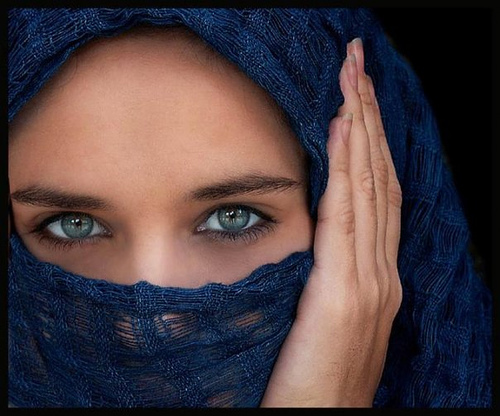 The face veil is known to muslims as Niqab or Nikab. 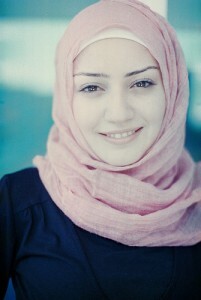 Just a few days back, from 11 April 2011 it is now implement which makes the full-face veil illegal to wear in public places – such as on the street, in shops, in museums, on public transportation and in parks (the wearing of all conspicuous religious symbols in public schools, including Islamic veils and headscarves, was previously banned in 2004). As a result, the only exceptions to a woman wearing a niqāb in public will be if she is travelling in a private car or worshiping in a religious place. All garments which cover the face are now officially banned with offenders facing fines of 150 euros (£133). 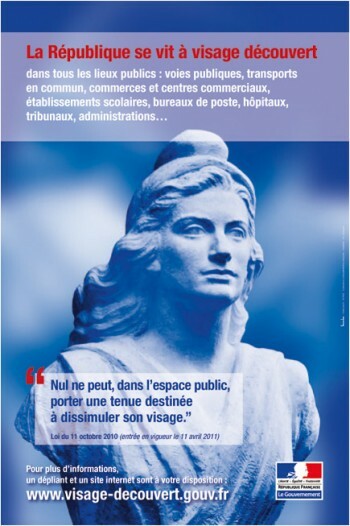 Official poster for the information campaign about France's full face veil ban. The quote says "Nobody can wear clothes meant to hide the face in public." The ban pertains to the burka (or burqa), a full-body covering that includes a mesh over the face, as well as the niqab. The hijab, which covers the hair and neck but not the face, and the chador, which covers the body but not the face, apparently are not banned by the law. France is home of about 5 million muslims and this ban is going to affect only fewer than 2,000 women across the country who wear the niqab or face veil when they go out. The move is seen by many more of a political one than anything else. The Sarkozy government of France is anxious to respond to the rise in right wing support among French population and most of the political analysts agree on this point that this is a very politically motivated move. For sometime now, there has been a lot of debate in France related to the veil. Belgium introduced a full ban last year, although it has not been enforced with any vigor. A ban also looks likely in Holland, Spain and Switzerland. Many are expressing this real fear that are Muslims being made the next Jews of Europe? Majority of Islamic scholars agree on the point that Full Face Veil is NOT something which is a requirement of Islam or mandatory to observe (even though some observe it believing it as part of their religious observation). Many Muslim leaders have said they support NEITHER the veil nor the ban. The original Quranic injunction in the context of wearing modestly of women was to respect and protect their dignity (...that they may be known, and thus they will not be given trouble or annoyed. 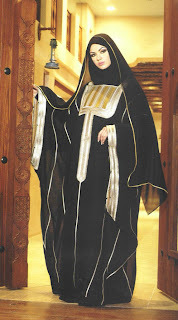 Quran 33:59), and if in a post-modern world dressing is religiously over-done its already defeats the very purpose of this injunction - from this point of view, a post-modern interpretation of Islamic code of dress would encourage women to wear modestly in the cultural context of the society, without making oneself too distance or different than the rest of others. Dalil Boubakeur, the grand mufti of the Paris Mosque, the largest and most influential in France, testified to parliament during the bill's preparation. He commented that the niqāb was not prescribed in Islam. Mohammed Moussaoui, the president of the French Council of the Muslim Faith, has opposed the law but favoured discouraging Muslim women from wearing the full veil. Abdel Muti al-Bayyumi, a member of the council of clerics at Al-Azhar Mosque in Cairo, Egypt, applauded the ban and stated that the niqāb has no basis in Sharia. He also said, "I want to send a message to Muslims in France and Europe. The niqab has no basis in Islam. I used to feel dismayed when I saw some of the sisters (in France) wearing the niqab. This does not give a good impression of Islam." Hassan Chalghoumi, an imam in the suburb of Drancy northeast of Paris, said he supported the law because of the veil's effect on women. Yusuf al Qaradawi, a prominent Islamic scholar stated that in his view "the niqab is not obligatory" while criticising France for violating the freedom of those Muslim women who hold the view that it is. Amnesty International condemned the passage of the bill in the Assembly as a violation of the freedom of expression of those women who wear the burqa or hijab. Charing Ball writes in The Atlanta Post: "The problem with the ban is that Sarkozy and the law’s supporters fail to see how the banning of clothing, which many women wear for religious reasons, will most likely further marginalize these devout-religious women by making it impossible for them to engage in work, school and other social activities. Ironically, Sarkozy claims that “equality” is the motive behind instituting the law. In addition, the question of what differentiates secular society from what some folks deem as symbols of extremist Islam is being settled on the bodies of women. Women are being used as some sort of litmus test to determine what are ‘acceptable’ practices of a religion. Hence, France’s ban on burqas is nothing more than a brash throwback to colonialism when the subjugation of a group’s customs and traditions where justified as a way of ‘saving’ them from their barbaric and primitive ways. 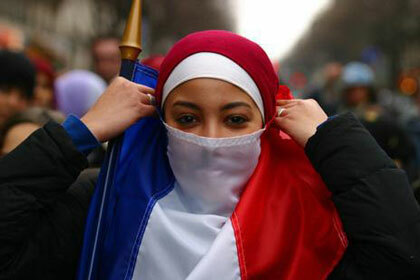 In essence, France’s racism, sexism and xenophobic is as thinly veiled as the burqa." Even though at present time veil and covering of hair is mostly associated with Muslims or Islamic practices, this has very ancient history pre-dating thousands of years BC. The first recorded instance of veiling for women is recorded in an Assyrian legal text from the 13th century BCE, which restricted its use to noble women. Assyrian kings first introduced both the seclusion of women in the royal harem and the veil. Prostitutes and slaves, however, were forbidden against wearing veil, and were punished if they disobeyed this law. 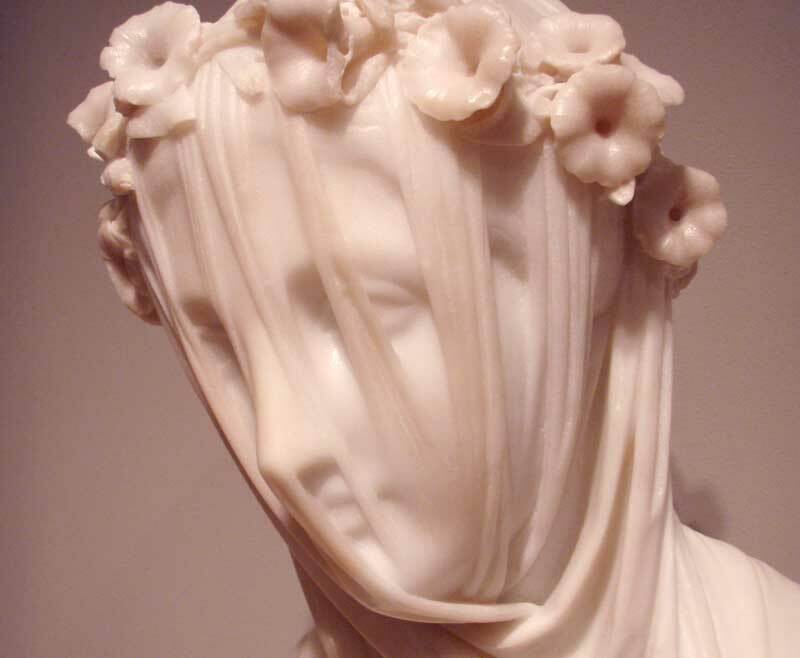 Classical Greek and Hellenistic statues sometimes depict Greek women with both their head and face covered by a veil. Scholars think that it was commonplace for women (at least those of higher status) in ancient Greece to cover their hair and face in public. Beyond the Near East, the practice of hiding one's face and largely living in seclusion appeared in classical Greece, in the Byzantine Christian world, in Persia, and in India among upper caste Rajput women. In Judaism, Christianity and Islam the concept of covering the head is or was associated with propriety. All traditional depictions of the Virgin Mary, the mother of Christ, show her veiled. Veiling was a common practice with church-going women until the 1960s, and a number of very traditional churches retain the custom. In India, Hindu women veil for traditional purposes, it is custom in rural areas to veil in front of male elders. This veil is called the ghoonghat. Muslims in their first century at first were relaxed about female dress. As Islam reached other lands, regional practices, including the covering of women, were adopted by the early Muslims. Yet it was only in the second Islamic century that the veil became common, first used among the powerful and rich as a status symbol. The Qu'ranic prescription to "draw their veils over their bosoms" became interpreted by some as an injunction to veil one's hair, neck and ears. Dressing modestly for women, who in general are bestowed with the honor of feminine beauty has universal value. Islam simply retains and preserves this principal, as was in Abrahim tradition. Both in original Judaic and Christian traditions women dressing modestly were part of culture as well as religious observation. .. any woman who prays or prophesies with her head unveiled brings shame upon her head, for it is one and the same thing as if she had had her head shaved. For if a woman does not have her head veiled, she may as well have her hair cut off. But if it is shameful for a woman to have her hair cut off or her head shaved, then she should wear a veil. Judge for yourselves: is it proper for a woman to pray to God with her head unveiled? .. if a woman has long hair it is her glory, because long hair has been given (her) for a covering? But if anyone is inclined to be argumentative, we do not have such a custom, nor do the churches of God. In Islam, as it is the natural progression of Abrahamic tradition, the same core values are lived and preserved. In the Final Testament or The Quran's principal of dress and modesty is general, broad and includes both men and women. The Quran does not stipulate veiling or seclusion; on the contrary, it tends to emphasize the participation of religious responsibility of both men and women in society. Also since there is no monastic tradition in Islam, there are no two different place of rule, unlike we see in other faith tradition like Christian nuns who wear certain dress and lay people completely disregard every boundaries. In Islamic worldview, devotion to God is part of seamless reality for women who see their family life and devotion to God without any separation and thus they strive to be in the world in a way which reflect universal spiritual value. The Qur'anic discussion on dress centres on modesty. This is understood, first, as an avoidance of excess, and second, as the covering of nakedness. Surah al-A' raf, 7:26, speaks of clothing to cover nakedness, and clothing as a thing of beauty; but it says the garment of piety or taqwa is the best of all. The Surah then goes on to espouse in verse 31 dressing well for worship but not to do this in excess. Quranic principle requires women to dress modestly in public. Although definitions of what this entails vary regionally, many Muslim women cover themselves to some extent in deference to their religion. The question of hijab (meaning curtain or cover) appears in the Quran in the context of providing privacy to his wives since Prophet Muhammad conducted all religious and civic affairs in the mosque adjacent to his home. In that very context, hijab was the responsibility of the men and not the wives of Prophet Muhammad, who were known as Mothers of the believers. Even though in present time many traditional muslim society as well as in the West muslim women wear different type of veil or hijab or niqab - the core principal was always modesty and doesnt require it to over-do it. Quran commands firstly the wives of the Prophet and later believing women to dress modestly and uses terms using the pre-existing dress code of women of that time. Modern scholars of Islam maintain the view that the commandment to maintain modesty must be interpreted with regard to the surrounding society. Thanks to various culture from where people came and accepted Islam, various pre-existing dress code and idea of modesty became part of Muslim culture and they must be viewed as cultural element than religious. Dressing modestly is possible independent of culture, race, or existing practices of any other land or nation. While its understandable that full face veil is not necessarily a religious obligation from Islamic point of view, but an age old cultural practice, yet banning it creates a very different situation for it. From the point of individual freedom this becomes some what disturbing. A state or country telling its citizen what to wear and what not to wear contradicts with democratic, civil values - the very values French republic so high upheld. The sum effect of banning of Burqa most probably going to have positive effect because it encourage integration, it forces even Muslims (in Europe they have tendency to live in their own bubbles) to understand their own customs, educate themselves and separate cultural baggage from authentic teachings or practices. This also offers opportunity for Muslims to educate non-Muslims about their beliefs and the fact that those who practice Islam do not belong to a Mono-Culture. A muslim from India can be very different in his or her cultural embodiment than a Muslim from Malaysia or Turkey or California. There is a gross misconception which is constructed around Muslim women's choice of wearing modestly, whether its covering their hair with head scarf or Hijab, Chador (cloak) or Jilbab (loose-fit garment / coat) that has to do with wrong association of women's oppression. While there are truth that women suffer from lack of freedom in many places in the world, and that more to do with cultural conditioning than anything else. Social theoretics will tell you that even if religion were removed from them, those who are obsessed in controlling and subjecting others, will find other ways to do so. Thus seeing the choice of women wearing modestly in public, or a religion encouraging its faithful to respect boundaries should not be immediately seen through one-eyed interpretation. What is largely ignored is the voice or opinions of those who voluntarily choose to wear it out of their own choice, realization, a sign of their devotion. See in every faith traditions there are monastics who turn away from the world, wants nothing from its super market or stock exchange or its dazzling merchandise of vanity of vanities. Spiritually what does these people stand for? The monks, the nuns whether they are Christian or Buddhist, who devote their whole life utterly centered to God or to their Dhamma move away from the world, from the market place and wants to live a life of seclusion, in solitude. Now they deserve respect for their choice and more so because its based on a very high purpose in life. Now to understand why Muslim women, many choose to wear veil because they don't place so much weight on the super market or its product or the world of merchandise like most of us do (not all Muslim women wear face veil, only a small proportion). When they choose to completely veil themselves they are like the sisters in Nunnery and their choice must be respected as civilized people we respect the choice of devout nuns or monks to their choice of way of life. If anybody want to know or understand how Muslims feel about banning his or her sister or mother to wear her veil, it will be helpful to understand to take this parallel perspective of how Church will feel if suddenly secular government of XYZ country demand that all Nuns in the country need to wear denim jeans and short sleeves. Funny or odd as it might sound, thats how muslim take offense of such banning and instead of talking about Clash of Civilizations, the West better deal with this Clash of Ignorance with which they completely miss the point again and again when it comes to understanding Muslim minds. Muslims are not an alien separate entity, they are part of the world as much as they are part of the West. For Muslims asking veiled women to uncover their veil or to tell a women that she has to sit at home if she continues to choose to wear it, it is a serious and real threat against women's right. Who are we to dictate that everyone must conform in the way the corporates (including the corporate influenced governments) wants us to bow down to the greed, consumerism and over sexualization of an increasing materialism society in which we live in? What about citizen's right to dissent from over-sexualization and extreme consumerism? After coming down from Mount Sinai, Moses is described as having rays of divine light beaming from his face. The Torah continues to say that Moses' face was so bright with holiness, no one dared look at him. He had to wear a veil whenever he spoke to the people in order to filter the Divine glare. What about those who chose to veil themselves from the world? Absorbed in the world and you've made it your burden. Rise above the world, behold! there is another vision! There is an alarming and dangerous tendency of stereotyping Muslims in the West, and the root cause of it is mostly ignorance. If Christian West knew their own tradition well, they would be surprised how many of the original practices of Abrahamic traditions are only preserved and visible in their Muslim neighbors. West has not yet got over with its post-colonial hangover that creates an inferiority complex that must always work its way towards Western supremacy while looking down at everything foreign to them. In this recent debate about face-veil what is completely ignored is the sheer spiritual dimension from where a woman would like to veil herself from the world. For west where the dominating culture and icons hover around McDonalds, glorification of everything on sale including women's body and 24/7 distraction on all kind of media in the name of entertainment, it is very hard to imagine that in this world there are many for whom this world is a place of temporal abode and the reality of eternal afterlife is a much vivid reality. There are many who literally prefer to be veiled from the world and we have no rights to tell them that they can not. Whether even as a Muslim if I feel that it does not fit my religious understanding of how when it comes to covering one's face, I still have to be sensitive to their point of view. We often don't understand the deep meaning of what it means in believe in eternal after-life and why someone who internalize it can choose to live in a way removed from the super-market culture. We are no longer living in a time of people retiring in temple cell or solitary mountain cave. Yet the same spiritual impulses of seclusion from the world is still within our soul and some may still choose to embrace it - while living in the world but being above it. Your heart will not become clear of the mad ravings of the world except by distance from them. Solitude in the Crowd is a very deep rooted spiritual practice, and when this station is realized and reached by any soul, they spiritually veil themselves even when in the super market. Mystics understand this very well because they live like that. The problem of our modern day disconnect is that we may understand a metaphysical reality or be satisfied with intangible concept but when it become real - its reality is too scary for us. What these women who prefer to be veiled when in the street or super market, are practicing and embodying its very real aspect in a way which appear to be too surreal for us. Yes its true that out of 1000 who veil, if we sample or interview them, they may have very different circumstances or reasoning to be so, yet we can never generalize and immaturely assume that they all are doing it simply because they are forced or they are suppressed. Actually the reality is quite opposite and among the French women who prefer to veil themselves in public, many of them are French born Muslim reverts for whom this feeling of being only for God and their own private circle of loved ones is the most precious way of living. And there are many documented and interviewed women both in the east and west who embrace to wear modestly (and according to their own comfort level of it) in public and they do it consciously with very refined sense of spiritual and religious devotion. And who are we to tell them they can not embody that? Let us look at our common humanity and celebrate its diversity, instead of divisions and antagonizing others. We await for that new dawn. * Will you ask Mother Mary to remove her scarf?